Natural cold sore remedies are not only healthier and better for you, they are usually more effective too. If you’ve ever had a cold sore or fever blister, you know how unpleasant they can be. They are uncomfortable, unsightly, and can be quite embarrassing. Unfortunately, they are also very contagious, and once you catch the virus, it remains in your body for the rest of your life. 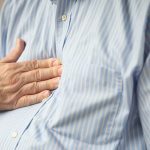 There are plenty of topical medications for sale which are designed to reduce the symptoms of an outbreak and speed up the healing process, but for many people, these don’t seem to make much of an impact. 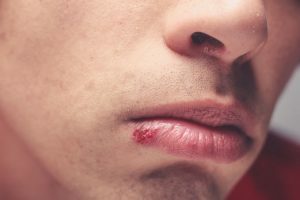 Here are some natural cold sore remedies that can dramatically reduce their healing time, as well as helping you to avoid outbreaks in the first place. 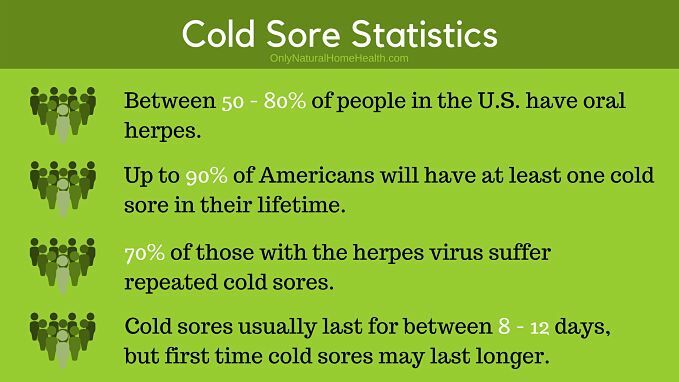 Your immune system is a major factor in determining how likely you are to develop cold sores. There are several straightforward ways to give your immune system a bit of a boost. Eating any fresh fruit is great, and garlic is one of the best foods for your immune system. It’s also important to remember the fundamental stuff, too. A regular sleep schedule allows you to consistently get the rest you need and can have a huge positive impact on all aspects of your health. Equally overlooked is the importance of drinking enough water to make sure you don’t become dehydrated. Getting adequate sleep and drinking plenty of water are two of the easiest ways to improve your immune system, which will in turn help to reduce the number of cold sore outbreaks you will suffer. Another thing to keep in mind is the everyday care of your lips. 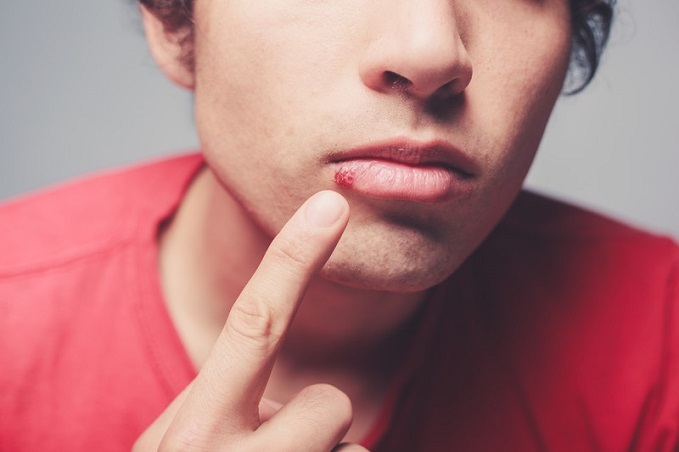 Taking particularly good care of your skin in this area will help to reduce your likelihood of developing cold sores. Keeping your lips moisturized can help to keep your skin healthy and increase your resistance to cold sores. Too much sunlight is a particularly common trigger, so it is a good idea to make a habit of using a lip balm with SPF to protect your skin from the sun. Lip balms containing tea tree oil are also available and may help to prevent cold sores, as tea tree oil is a natural antiseptic. 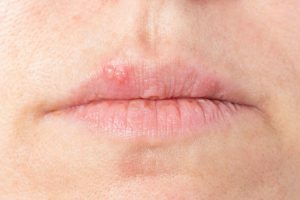 Despite your most diligent efforts, the chances are that eventually, you’re going to feel the dreaded tingling sensation that warns of a cold sore about to develop. The first step of any successful cold sore treatment is the same: act immediately, as soon as you feel the first sign of trouble. 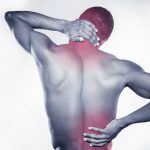 Applying a remedy before the sore begins to form is extremely helpful in reducing the time the sore will take to heal. Once you’ve identified that you need to take action quickly, you have several excellent natural options. As mentioned above, tea tree oil is a natural antiseptic, and so can be very useful in treating all kinds of minor skin problems. Tea tree oil is available from many pharmacies as well as health food stores. Make sure you read the bottle to find out how you should dilute the oil before applying it to your skin. Some brands of tea tree oil are partially diluted already, while some are pure and may be too strong for your skin. When applied quickly and regularly, tea tree oil can reduce the duration of a cold sore to as few as three days! Although you may notice it slightly stinging when you apply it, this will soon turn into a pleasant cooling sensation. This relief from the pain and itchiness of the cold sore is one of the major advantages of tea tree oil. As a bonus, it smells quite nice, since it is a member of the eucalyptus family of plants. Oil of oregano, on the other hand, certainly won’t be recommended for its odor. If you’ve never encountered this essential oil before, it may sound pretty mild. After all, we all have oregano in our spice racks, right? Oil of oregano is a whole different experience, however. The familiar taste and smell of the spice are more intense to the point of being overwhelming for some people. Despite its unpleasantness, however, it is a superb way to boost your immune system and help your body to fight a cold sore. It can be applied topically in much the same way as tea tree oil, but do make sure that you dilute it properly. A good rule is about one drop oil of oregano to three drops of a carrier oil such as olive oil or almond oil. You may wish to dilute it further if you find that it stings too much, as oil of oregano is quite powerful and can irritate the skin. However, it is an effective cold sore remedy and can help clear up an outbreak even more quickly than tea tree oil. 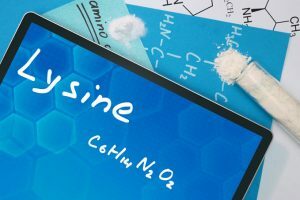 Lysine is an amino acid you can get from the food you eat or from taking supplements. Alternatively, you can apply lysine cream directly to your skin. Studies have shown lysine to be particularly good at preventing cold sore outbreaks. 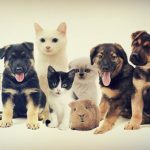 You can read more about taking lysine for cold sores here. Aloe vera gel contains antioxidants and helps to heal your cold sores and prevent infection, making it one of the most effective cold sore remedies. It’s great for providing soothing pain relief and also helps replenish moisture. Apply the aloe vera gel to your cold sores throughout the day for fast-acting relief. Standard licorice root contains glycyrrhizic acid which has antiviral properties that are useful in helping treat cold sores. You can buy licorice root in several different forms, such as cream, capsule, powder, gel, and the dried, unprocessed root. All of these types are suitable for use as cold sore treatments except the dried root which is likely to cause you irritation due to its coarseness. You can use licorice root as a natural cold sore remedy by applying a thin layer of the cream or gel directly onto your cold sores. Known for its cool, soothing and antiviral properties, peppermint oil is another excellent natural treatment for cold sores. You can apply the oil topically using a cotton swab. Some people have an allergy to peppermint oil, so if you’ve never used it topically before, do a patch test on a small area of your skin first. 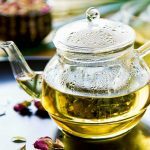 With these natural cold sore remedies and a little experimentation, you should find the routine that suits your body best, allowing you to minimize your suffering and get back to feeling healthy and happy as quickly as possible.